When purchasing a vehicle for business or personal use, the safety aspects is always a lingering thought on any person’s mind. However, even though all the boxes have been ticked, when it comes to price, make, model and the safety aspect, the chance of a car safety recall can still take place. So the looming question is, what exactly is a vehicle safety recall? Well a vehicle recall is issued in South Africa when the National Regulator for Compulsory Specifications (NRCS) decides that a vehicle, equipment, car seat, or tyres created, were not up to car safety standards or has not met the minimum safety standards. The manufacturer will alert the owners via email, registered mail or telephonic call of the specific problem and will fix the problem free of charge. What needs to be kept in mind is that when a vehicle is recalled, this doesn't mean the entire vehicle will be replaced, only the identified parts causing safety issued will be replaced. Even though car recalls are horrible and raises so many safety aspects, this also means there is always work, that is being done and that manufacturers are always keeping your safety top of mind. How common are vehicle safety recalls and how they affect you? Vehicle safety recalls are moderately common in South Africa, taking a look back in January 2018, Toyota SA recalled more than 700,000 vehicles over faulty Takata airbag inflators, this affected millions of vehicles worldwide for the brand and not just SA. In 2017, Mercedes-Benz recalled 2200 units in South Africa connected to production issues with engine compartment seals, this was part of a larger global recall affecting nearly to 1 million cars worldwide. In 2015, Reshall Jimmy was a victim who burnt to death in his Ford Kuga, while on holiday. 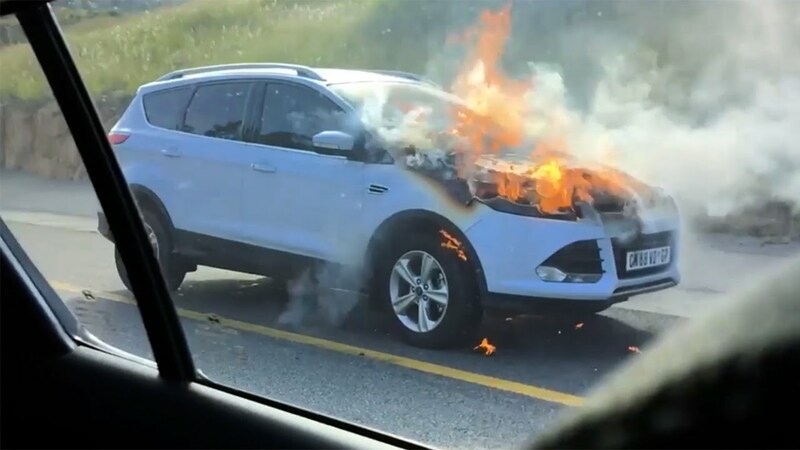 However, an estimate of nearly 64 other Ford Kuga’s 1.6 EcoBoost models have also caught fire and was therefore recalled. The initial recall was for the faulty coolant system, which Ford stated caused the vehicle’s cylinder head to crack, allowing oil to leak onto the hot engine and catch fire. These facts are alarming and it has left many concerned drivers pondering on whether their cars are becoming more dangerous and how they are and will be affected. How do I know if my car has a recall? The dealership or manufacturer will notify the original owner of the vehicle via post, email or telephonically that their vehicle has been affected by a safety recall. The communication will confirm your VIN number (Vehicle Identification Number), make and model of your vehicle and what safety recall action will be performed. The dealer or manufacturer will also confirm which stages will follow, for example will they perform a complete inspection of the affected system or equipment, as described in the Recommended Rework Procedure or does existing parts need replacement immediately. The stage(s) in which recall repairs are executed will be confirmed by the manufacturer and you might need to visit a dealership more than once for a recall repair. What should be done if my vehicle is recalled? When you have received the call, post or email, you will need to contact your nearest preferred dealer in order to make an appointment to have your vehicle repaired. 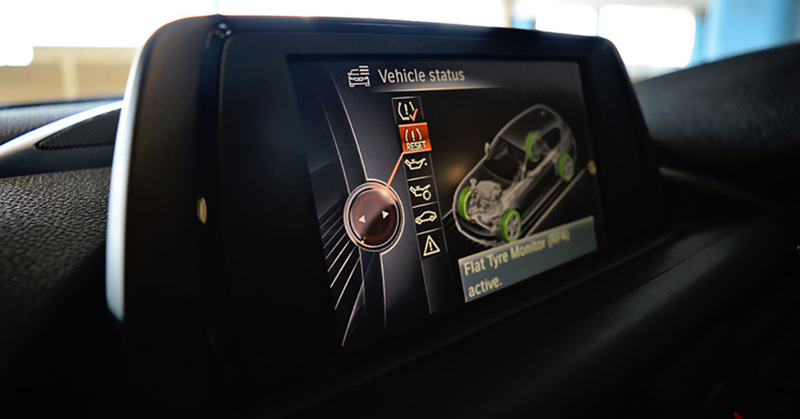 This will enable the dealership to fix your vehicle, and eliminate any risk to your safety. Conditional to circumstances, the manufacturer can either repair the vehicle at no cost; change your affected vehicle with an identical or similar model; or provide a refund option for the purchase price in full, with a deduction for depreciation. Will alternative transport be arranged, when my vehicle is recalled? Dealerships don’t always have loan vehicles available, should this be required, you need to communicate it clearly with them. Your recall repair will most likely be a one day job, similar to you having your vehicle serviced. What is the difference between a recall and a campaign? As mentioned, a recall is when a vehicle has a safety related defect and the vehicle must be brought back to the dealership, irrespective of kilos and repaired by the manufacturer free of charge to you as the consumer. A campaign is when a manufacturer voluntarily recalls non-safety associated issues and either repair’s them free of charge or at a reduced rate. When a car recall is issued, the parties involved need to get to work immediately. The first thing on the list is communication by getting hold of each owner of the affected vehicle in order for the issues to be addressed. This is where a recall campaign comes into play, which includes mass-media advertising as well as direct mailing, this ensures that a lot of ground is covered and people are kept in the loop of what is actually happening, an example in SA would be the manner in which Ford SA communicated with the media after reports of Ford Kuga's going on fire. How to check if your car has a recall/service campaign when buying a used car? You’ve done your research and have found the perfect used car, but the particular car has a recall notice on it, this doesn’t automatically make it a bad purchase. There are however, certain steps you should take to protect yourself. To get peace of mind, you can do a background check on the car. The vehicle history provides you with the car accident history, finance status, theft status and many other important data points about a used vehicle in South Africa. You can also contact the head office of the car brand and/or the dealership and supply your VIN number, make, model and year of car and they will be able to assist you. You can also contact the NRC, which is an accredited process, which ensures that all vehicles fulfil the compulsory standards before they are put in the South African market. If there are any issues related to car recall with the car brands head office and/or the dealership, if they don’t want to repair your car when a recall has been issued, bear in mind that the NRCS can enforce the recall. Ignoring the car recall problem, wouldn’t make it go away, particularly on a used car. And ignoring the problem for more than six months, is considered a bad sign and demonstrates disinterest by the owner when it comes to mechanical problems. So it’s important to react immediately when notified of a recall, your safety depends on it. Before purchasing any used car, get a multipoint check done either at independent workshop or OEM brand dealership. Red flags should be raised if the owner doesn’t allow you to inspect the car beforehand. Can a used vehicle have a recall/service campaign? Yes, if you purchased a used car, and your car has been recalled, you’re eligible to have it repaired by the manufacturer, irrespective of where you bought it. Whether you bought your car new or used, the manufacturer is still responsible for providing repairs related to any outstanding recalls free of charge. What is generally not included in a vehicle recall? Keep in mind that a recall must be issued due to the potential safety risk to owners, passengers as well as bystanders. Considering the level of risk, the issue must be addressed immediately and not at set service intervals. Basic erosion/rust on different sectors of the vehicle. Usual wear-and-tear on different objects on the vehicle, these objects will be checked, maintained and exchanged when you taking your vehicle for its service or routine maintenance check. Paint features or surface discolorations. What could trigger a vehicle recall? What are the legal time-frames of a recall? A recall can be actioned on your vehicle, even if you purchased it years after it has been manufactured. When the vehicle is tested and faults are present at the time when the vehicle was sold, a recall is still effective, even if the vehicles warranty has lapsed. There is no expiration date for a car recall, but remember they are only compulsory for a practical period, but the recall can be over if the vehicle’s manufacturer goes out of business or if the required parts are no longer manufactured. Why should I care if my vehicle has been recalled? Safety, safety and yes safety, this is priority number one. Therefore when your vehicle is recalled, your safety is the key objective and your action is required immediately. Case and point, the Ford Kuga recall, the corporate issued a recall on the Ford Kuga 1.6 due to clutch pressure plate of certain vehicles, where the clutch assembly can overheat as a result of aggressive driving and/or a worn clutch disc and cause abnormal noise, odour, smoke and/or engine speed flare.